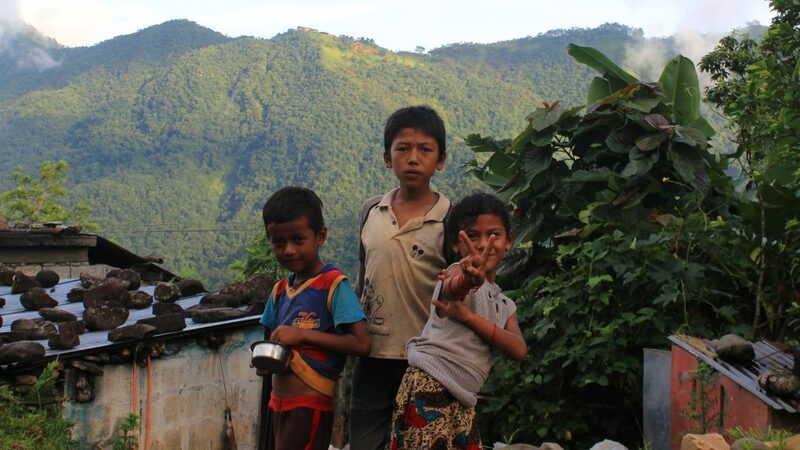 Those three sentences practically sum up my first weeks in Nepal. First, I stayed in Lumbini for four nights. After Lumbini, I continued to Tansen, where I stayed for six nights. 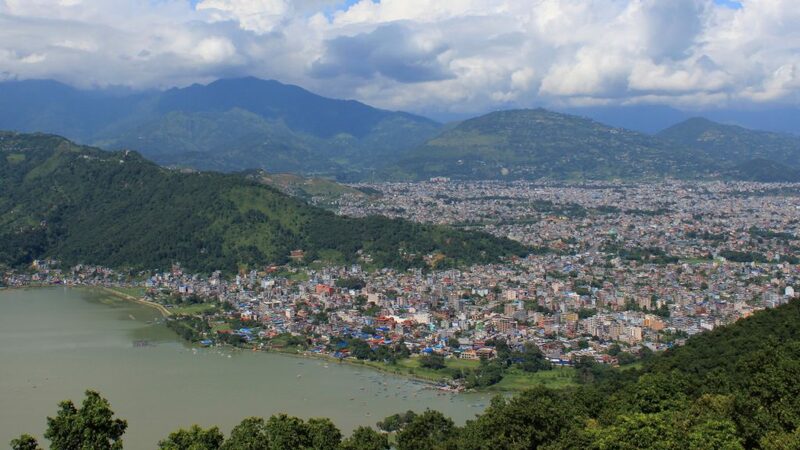 Now I’ll spend three weeks in Pokhara to study the Nepali language. This is not slowing down anymore. This is more like a complete stop. After four visits to this restaurant, the waiters started to laugh at my orders when I always asked for the same thing. 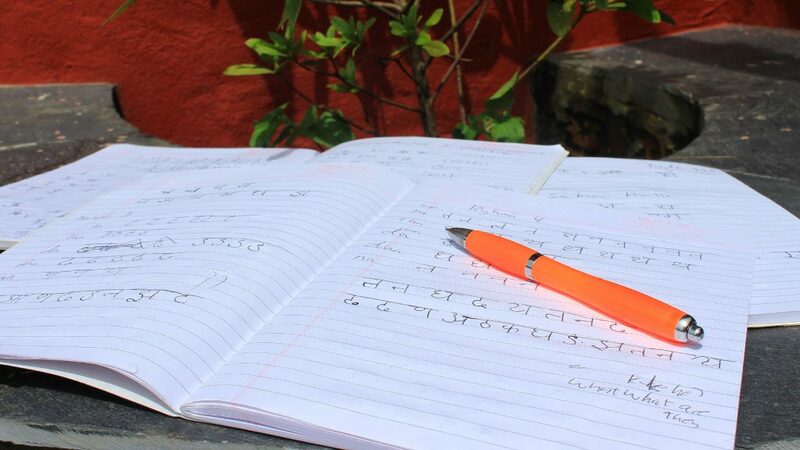 In the morning, I wake up to an alarm, eat breakfast and go to my first Nepali lesson of the day. I often do homework or just recap the lessons during my free time. I have one or two days off during the weekend, so there’s a difference between work days and holidays. I’m often exhausted by the amount of work I have right now, so I really need the days off. For most of you, this might sound like a very normal life. For me, it’s a glimpse to a world I haven’t experienced in months. As I know that this phase is just temporary, I look at the situation from a different perspective – and I feel like I’m noticing new things. Realization number one: wherever you are, your mind finds ways to make your life the way it was before. I don’t even have a job now, but my workload always seems to reach the same, slightly-too-high level. I start a little bit too many projects and I feel like I never have enough time to do everything. I’m making progress every day, but it would take months to reach a good conversational level in Nepali. During the Monsoon season, the road that leaves to my guesthouse is practically a river. When some people call round-the-world trip the adventure of a lifetime, they probably don’t have this in mind! 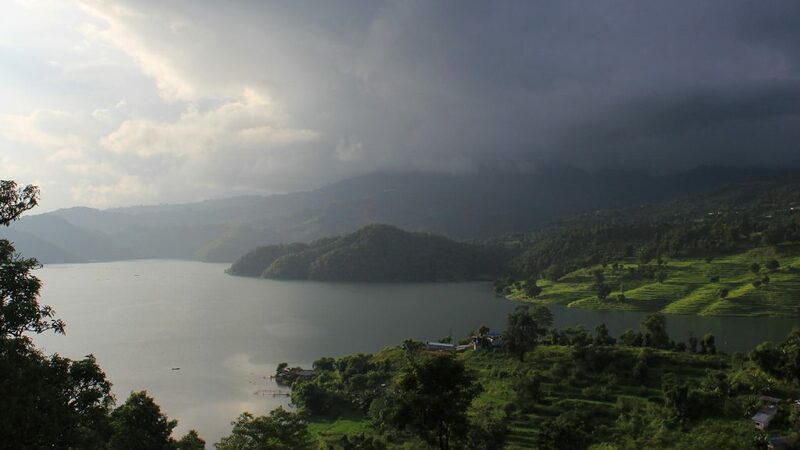 I took a weekend off from my studies to visit Begnas Lake, a more quiet area 10 kilometers away from Pokhara. This epic trio at Begnas Lake wanted to get photographed. Gotta love the poses! When your days are fully booked and they resemble each other, time sure flies faster. The last two weeks have whirled past quickly, as I’ve always had something to do and I haven’t had the time to get bored. Finding myself overworked and occasionally disappointed at my own laziness has given me a chance to learn some important life lessons. When you can’t change the situation (or yourself), it’s better to accept what’s happening. Before I came to Pokhara, I told myself I wouldn’t want to turn too passive here. I wouldn’t stop exploring and I’d actively seek new experiences here. Well, I’ve actually done most of the things I planned to do, but at the same time, I’ve done less than I originally imagined. And that is completely fine, I think. 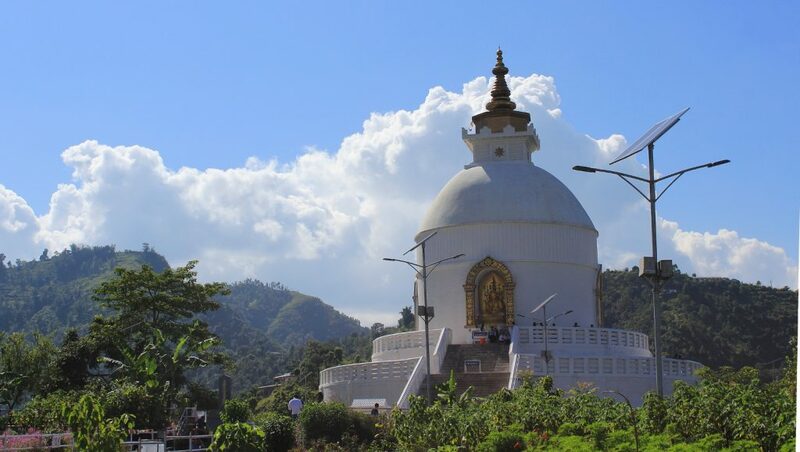 On a boat trip to see the World Peace Pagoda of Pokhara. The pagoda was nice, although it wasn’t as impressive as the one I saw in Lumbini. I need to study a lot on my free time, so there’s not too much spare time to begin with. And even when I don’t need study, I don’t always want to go out. I’ve had plenty of new ideas for the blog while I’ve been staying here and I’ve had some other writing assignments too, so I’ve been happy to spend afternoons writing inside when I’ve felt like it. I guess that’s another thing I’ve slowly learned during the last few weeks and months. Traveling just for the sake traveling gets dull if it’s the only content of your life. Instead of focusing on one single aspect of my life, I’ve done a variety of meaningful things that have brought fulfillment in my life. While the pagoda itself wasn’t special, the views down from the area made the climb worth it. The brand new Norday Montes guesthouse has the fastest Wi-Fi I’ve ever had in Nepal. Still, it’s not really fast enough for Skype. If I don’t count my first night in Tallinn, Estonia, Pokhara is the first place of stay on this trip where I’ve stayed before. 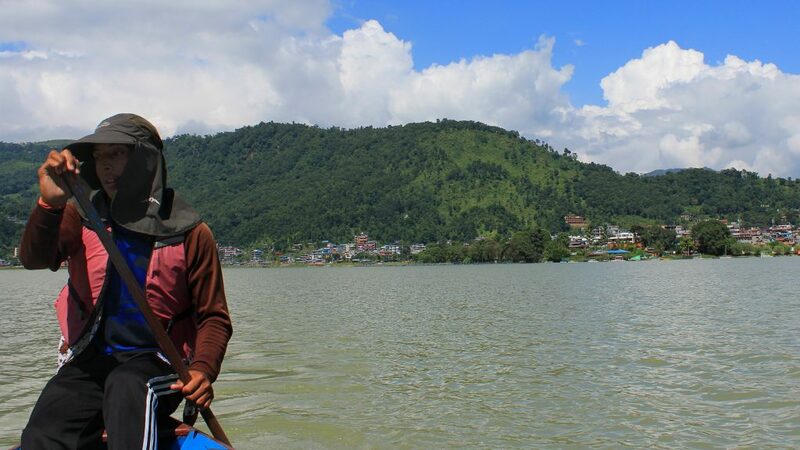 I was in Pokhara for one week on my first trip to Nepal three years ago . It’s interesting to see how the city has changed. Many things have remained just as I remember them. 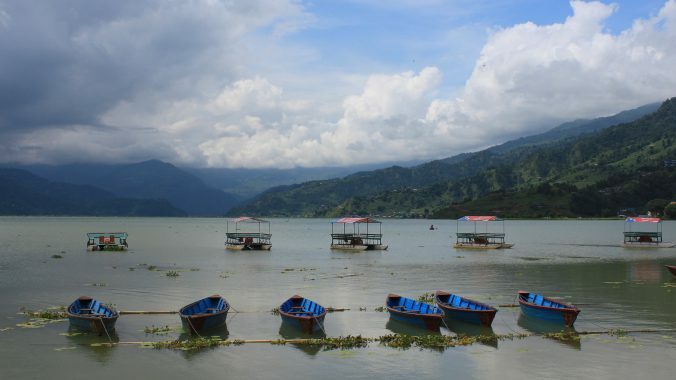 Pokhara is the second biggest city of Nepal, but almost all tourists have settled in a small area called lakeside by Phewa Lake. 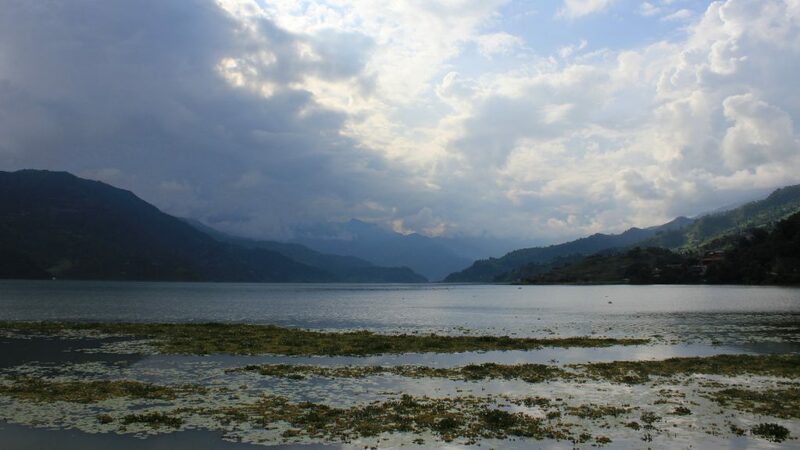 The numerous guesthouses and restaurants offer beautiful views to the lake. 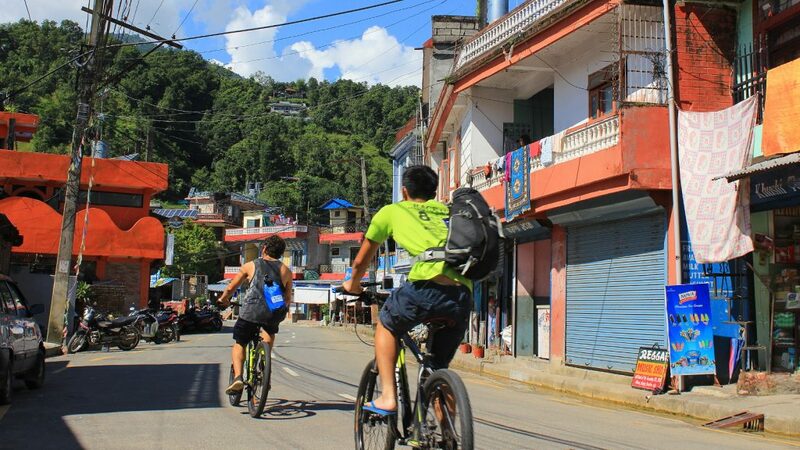 Most tourists have either come to the place for trekking or just to chill out in a more hippie kind of way. Still, the tourist area is quickly growing. The northern part of lakeside was quite empty three years ago, but now there are more and more guesthouses popping up here. For example, a hammock shop in northern lakeside where I stayed three years ago (it cost about 0,4€ a night – the cheapest commercial accommodation I’ve ever had!) has disappeared. Instead, the corner where it stood is now full of newer and bigger buildings. There’s a nice walking route by the lake, if you want to escape the tourist boutiques of the main street. There’s definitely more vegetation on the surface of Phewa Lake than I remember. 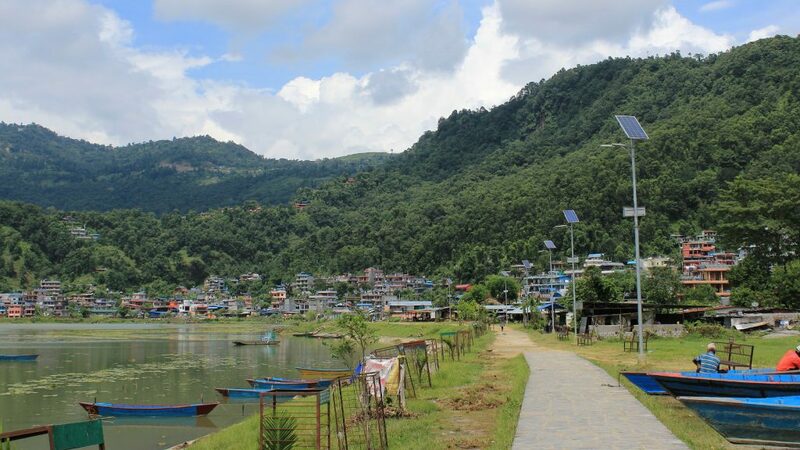 Pokhara was not seriously affected by the April 2015 earthquake, but the tourist industry still felt the impact. Many locals have told me that there were very few visitors here last year. Now they are hoping that the number of visitors returns back to normal at the end of this year when the high season starts. The climate has also witnessed a change, although it remains to be seen how permanent it is. 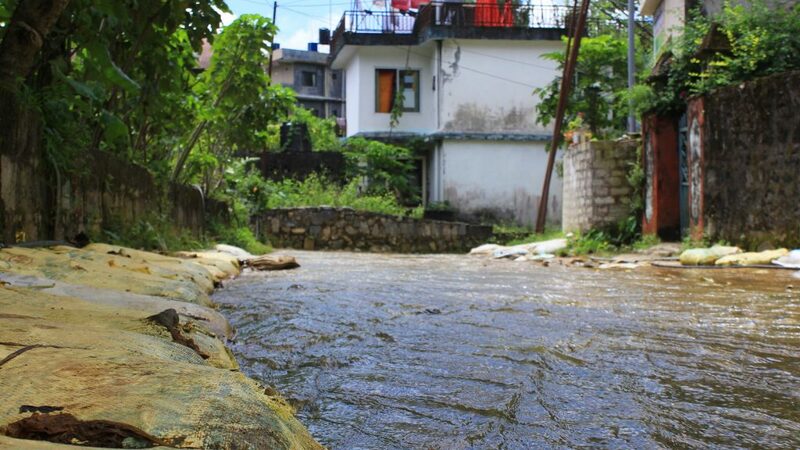 When I first visited Pokhara in August 2013, August used to be the last truly rainy month of the summer. It’s September now, but I wasn’t able to escape the rain by arriving later. In the meantime, the warming of the climate has pushed the Monsoon season forward. According to locals, this is the third year in a row when the raining has continued far into September. Well then, I guess I have to come here in October the next time.